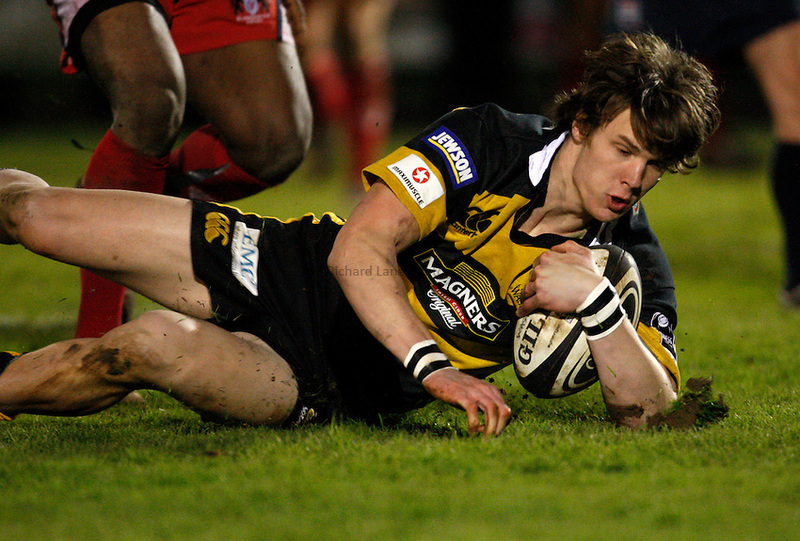 Photo: Richard Lane/Richard Lane Photography..London Wasps A v Gloucester Rugby A. Guinness Premiership A. 14/04/2008. Wasps' Ollie Holmes dives in for a try.